Ever since I moved to Venice I have wanted to do more rowing Venetian style, voga alla veneta, where you row standing up and looking forward while pushing the oar, basically like you see the gondolas being rowed around Venice. 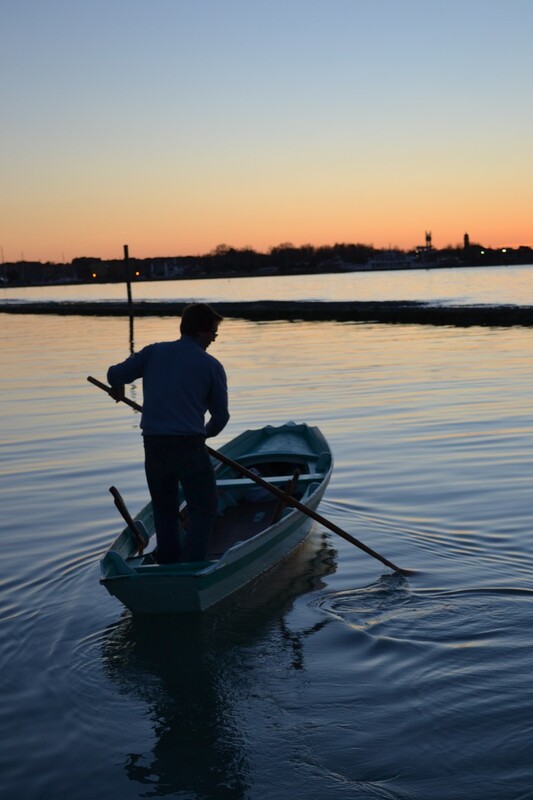 When I lived on the Lido a few years back, I went rowing at the Diadora rowing club, and learned the basics there, but for the last couple of years Venetian rowing sessions have been few and far between, not more than once or twice a year. 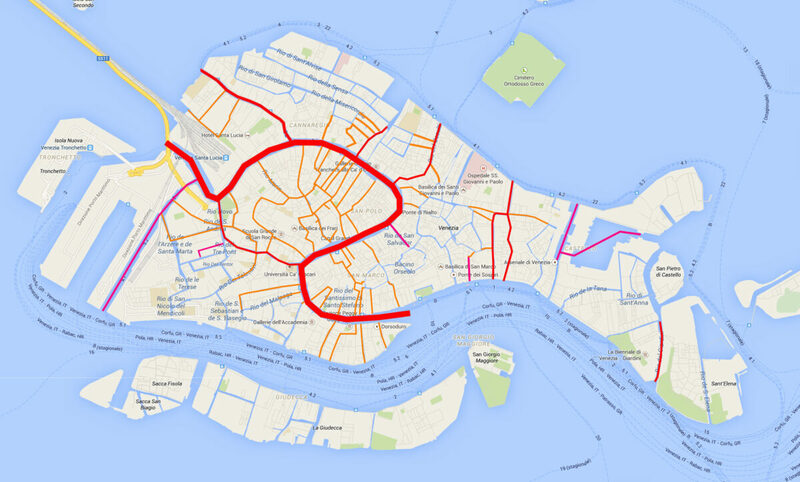 I’ve toyed with the idea of joining one of the many rowing clubs around Venice, but most of them have limited opening hours, managed by volunteers, and my working hours are too unpredictable and changeable for the two to meet regularly. Now, a few weeks ago, a friend of mine posted on Facebook that he wanted to sell his old s-ciopon. 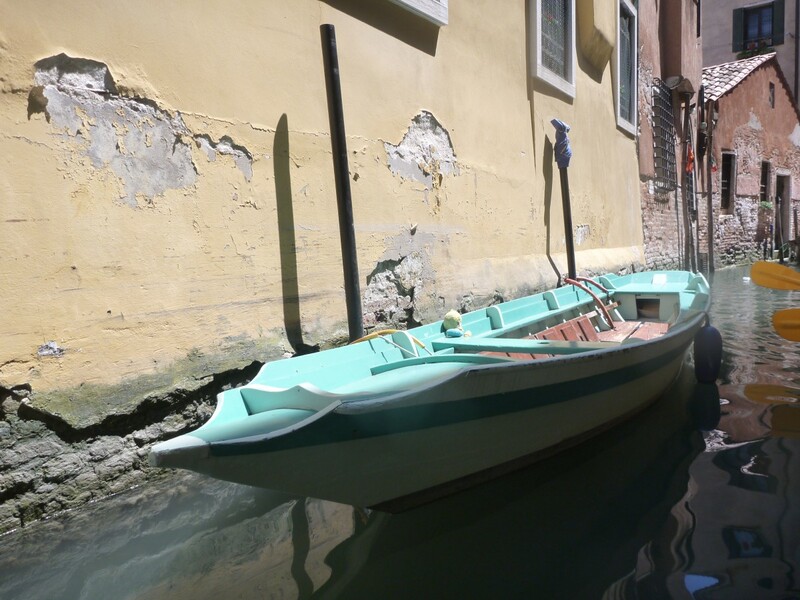 Venetian boats come in many shapes, sizes and types. 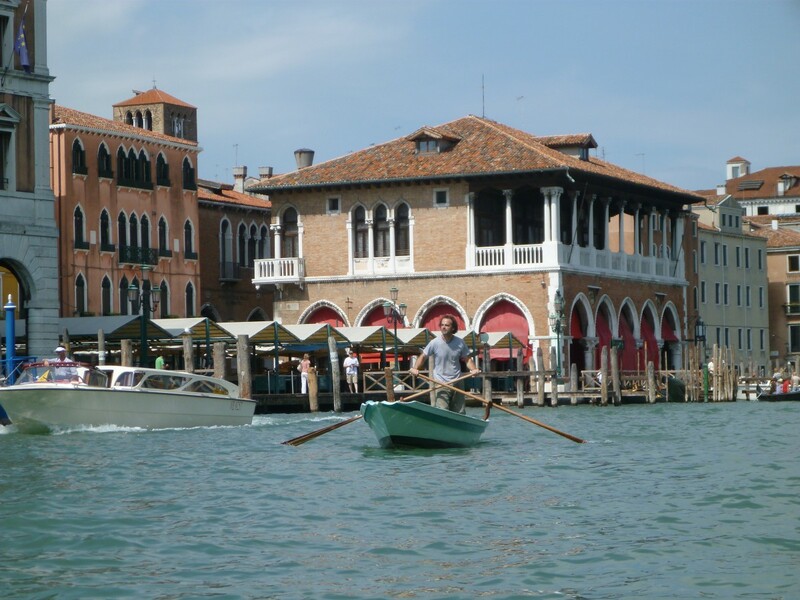 The gondola is the flagship model and by far the best known type of Venetian boat, but it is but one of many. 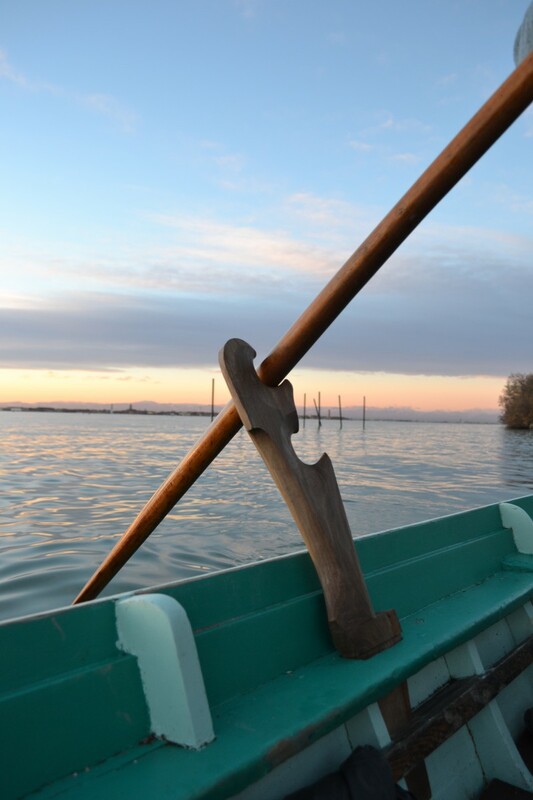 I’ve read somewhere that there was one at least two hundred different types of boats used in the lagoon of Venice, on the inland rivers and on the upper Adriatic Sea, but that at most one third of these are still in existence, and many of those are just a few surviving examples. The Venetian association Arzanà tries to salvage as much as possible of the quickly eroding heritage. 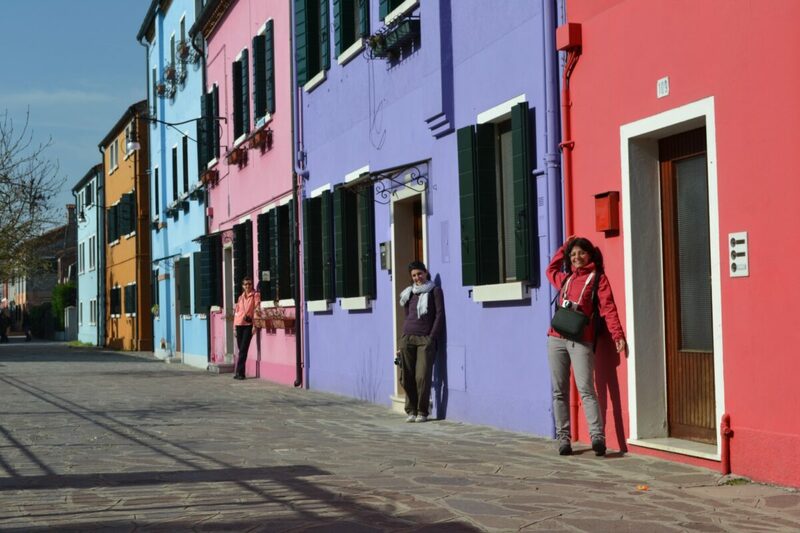 Of the still common Venetian boats, the sandolo family is the largest, with maybe some fifteen still existing types, with names like sandolo buraneo, sanpierota, mascareta, pupparin, and s-ciopon. While varying a lot in size, from over ten metres in length to little more than five, they have much in common. 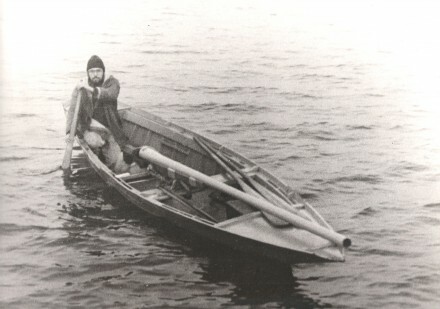 Originating as lagoon working boats, they all have a low profile, a pointed horizontal bow, often decorated by an iron spear, and a cut stern mirror, varying from almost vertical to a steep angle under the boat. Some were originally used for transportation, like the large and spacious sandolo buraneo from Burano in the nothern lagoon, or for fishing, like the sanpierota from San Pietro in Volta on the Pellestrina island, or as show boats for the rich, like the elegant pupparin, the only sandolo with an asymmetric hull constructed specifically for a sole rower. The s-ciopon is the smallest of the sandolo family, usually around 5-5½m long, 1.15 over the beam with a low board, and it was used for hunting ducks and geese in the lagoon. Armed with a huge shotgun, up to 3m long, which rested on the bow and the single cross board, the sole hunter would paddle the boat slowly through the reeves close to the birds, fire the gun into the flock and then standing up, row around picking up the dead and wounded birds. The initial approach to the prey was done crouching in the back of the boat, slowly paddling forward using a single blade paddle, much like a Canadian canoe paddle. After the shot, the hunter would revert to rowing standing up, using two oars alla valesana, to find and pick up the birds. The shotgun was more like a small cannon. Three metres long, with a calibre of 7cm or more, it would be loaded with black gunpowder and pellets, shrapnel or gravel. When fired it would cover an area of several metres in width, wounding and killing dozens of birds, and the recoil, cushioned by a sack full of straw, would push the boat back as much as ten metres. I’ve never seen such a shotgun, but I’ve heard some restaurants have surviving examples on display as decorations. Neither have I ever seen one of the paddles. This kind of hunting was outlawed in the 1970s. The s-ciopon we’ve bought will be used for shooting, but not for hunting. I’m very much looking forward to rowing around the lagoon with my camera, shooting at anything that moves. This particular boat is some forty years old, made of wood (as opposed to marine plywood which is ever more common), and the previous owner has had it and cared for it for over twenty years. We have forcole (oarlocks) and oars suitable for rowing alone with one oar (like the gondolas), alone with two oars (alla valesana) or for rowing two persons with one oar each.